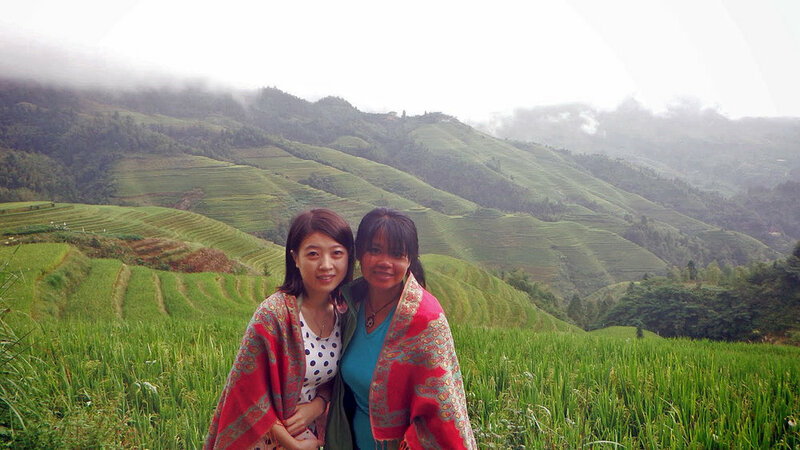 Turning my random meetings with the locals in China into friendship. If you ever choose to be a long-term traveler or a global nomad, know this - that you will learn the meaning of diversity and humanity. I learned that the best travel is when you go to places that challenge your comfort zone. The lesser English is spoken in a place, the more I gain perspective on the locals. I discovered that there are some places in this world where I'm valued less. So, I taught myself to value myself more. I learned that "race" in a global context is a conundrum in many ways. Being brown made me an outcast but it also made me fit in easily. My brown skin in some countries is seen as shameful and associated with low-income members of society whereas in other parts of the world being brown skinned is adored and depicts the ideal version of beauty. And yet, no matter where I am, I learned one important thing - over time, I find myself developing color blindness, even forgetting my own skin color until someone casually reminds me of it. I learned to blend in and just be one thing - a fellow human. I learned that on travels food can be to my liking, or not, and that hardly are there choices as the locals themselves are on limited diet. So, I learned to dine as a local, rather than dine as a queen. I learned that politically charged notions such as women empowerment vary in their definitions and meaning apart from the western-centric definition of the terms. I learned the virtue of being kind rather than being right. I learned to agree to disagree plenty of times, to refrain from judging others and to maintain mutual respect over disagreements. So, I learned diplomacy without the pettiness of politics. I learned that America is not the greatest country in the world. It's an oversimplification of a topic that is complex on various levels. In contrast, I learned that developing countries famously portrayed as economically struggling turn out to be the richest in the world when wealth is measured by the happiness level of the local people. I learned that charity isn't truly giving; but sharing knowledge and skills are long-lasting. I learned the latter empowers, and the former oppresses in disguise. I learned that the politics that divide us is simply that - a means to divide. And that humanity in its purest sense is strong enough to connect us on a personal level. Traveling for 20 years now (plus 9 more if I count dating back to my being a migrant to the U.S.), I never doubted the power of travel to change any human. Travel is the wisest teacher of life - it creates the ideal environment to break down our biases and prejudices without us even knowing it. It changes you if you allow it. September is the month for International Tourism. On your travels, don't be merely a tourist. Be a student of life.